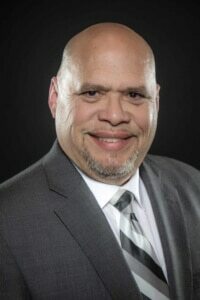 Eddie Rivero is the President of The Rivero Group, a consulting firm that specializes in Coaching, Connecting and Collaborating with Businesses, Non-Profits, and Government agencies. His background as a Non-Profit Executive, Entrepreneur, Community Leader, have allowed him to build a vast network that helps him bring value to his clients and friends. He is a certified Coach and Trainer with the John Maxwell Team, an ordained minister with the General Council of the Assemblies of God headquartered in Springfield, Missouri, and a Police Chaplain with the Miami-Dade Police Department. He serves on numerous organizational boards, and is known for his local and international humanitarian work. His educational background includes a Bachelor of Theology from International Seminary and he is a graduate of Southeastern institution where he received a Master of Arts in Leadership.